Incredible new construction steps to the sugar white sands and emerald waters of the Gulf of Mexico. Located within minutes of Gulf Place, 57 Calm Gulf Drive offers outstanding access to enjoy all 30A offers including the beaches, gulf waters, world-class fishing, first-rate dining and luxury shopping. 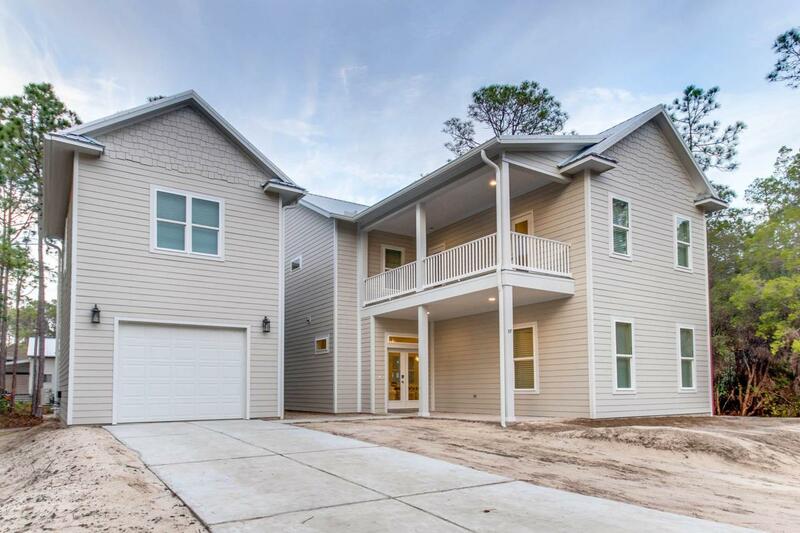 The exceptional floor-plan offers 4 bedrooms and 4 bathrooms. Features of the home include a large open great room; chef's kitchen with large island; designer finishes; oversized garage; private carriage house; tons of outdoor living; plenty of balcony space as well; and a huge back yard! The property boasts a large foot print with plenty of room to add a pool. Offering great rental income, this property would make the perfect second home, investment property or permanent residence.Do not miss the opportunity to own this rare 30A find!